The steps for installing plastic baseboard molding are similar to those for regular wood or MDF (medium-density fibreboard) products. Plastic baseboard molding may come in a few more colors or styles than the traditional molding materials. 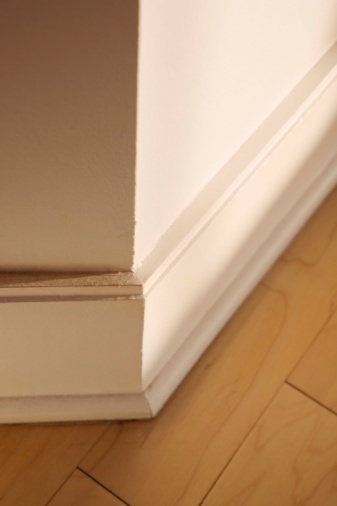 A downside to plastic baseboard molding is its fragility; during installation, the molding has a tendency to chip or break more frequently than other materials. Using a finer-toothed saw can help prevent some of the problems associated with the chipping or breaking of plastic baseboard materials. Measure the length of each wall to determine the necessary length for each piece of plastic baseboard molding. Mark the molding pieces where you need to cut. Place the molding in a miter box, lining up the cut mark with the appropriate miter box slot. Slots are either 90-degree or 45-degree, left or right. Cut the plastic baseboard molding using a miter saw. Draw the saw back and forth slowly to start the cut. 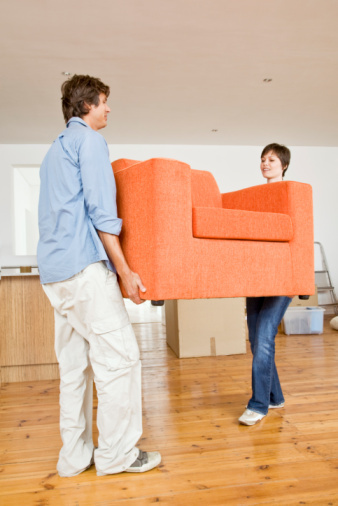 Saw carefully to ensure you avoid chipping the baseboard material. Place the plastic baseboard against the wall to ensure you cut it correctly. Attach the baseboard to the wall using a hammer and 1-inch finish nails. Repeat steps 2 through 3 to finish installing the plastic baseboard molding around the other walls in the room.